Two European Regions of Gastronomy have been internationally recognised as bucket list foodie destinations by Epicure food magazine, demonstrating how the title can boost local gastronomy as a unique selling point for regions. Riga-Gauja, European Region of Gastronomy awarded 2017 and Barcelona (Catalonia, European Region of Gastronomy awarded 2016) are highlighted among the 10 must-visit gastronomic destinations in an article by Priyanka Elhence, published on Epicure’s July 2018 issue. The author quotes regional ambassador for Riga-Gauja, European Region of Gastronomy awarded 2017, Dzintars Kristovskis who stated: “We aren’t creating a new trend with our Latvian cuisine, we’re just returning to our roots. 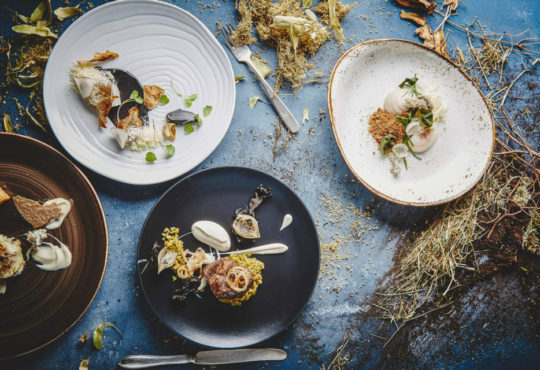 We’re going back to the distinctive tastes of pure regional cuisine of this area.” Words that perfectly represent the Wild at Palate concept developed by Riga-Gauja through its European Region of Gastronomy programme and based on the use of fresh, seasonal local products. Catalonia is then presented as a region hosting 55 Michelin-starred restaurants and homeland to 12 appellations of origin for wines and cava. The focus is on Barcelona, the regional capital, and the many gastronomic experiences available in the city, from food festivals to local markets. Epicure is a monthly food magazine based in Singapore identifying the latest trends and destinations in the local and international culinary scene. Read original article at www.epicureasia.com (subscription needed).